I have always been fascinated by elephants. These graceful animals are the largest mammals on land and are some of the smartest creatures that I have ever encountered. 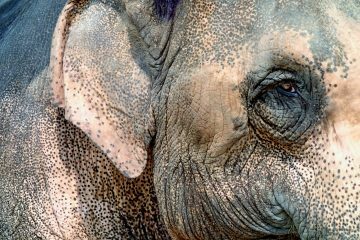 Sadly, the exploitation of Asian elephants is a practice that is still going on up to this day and age. 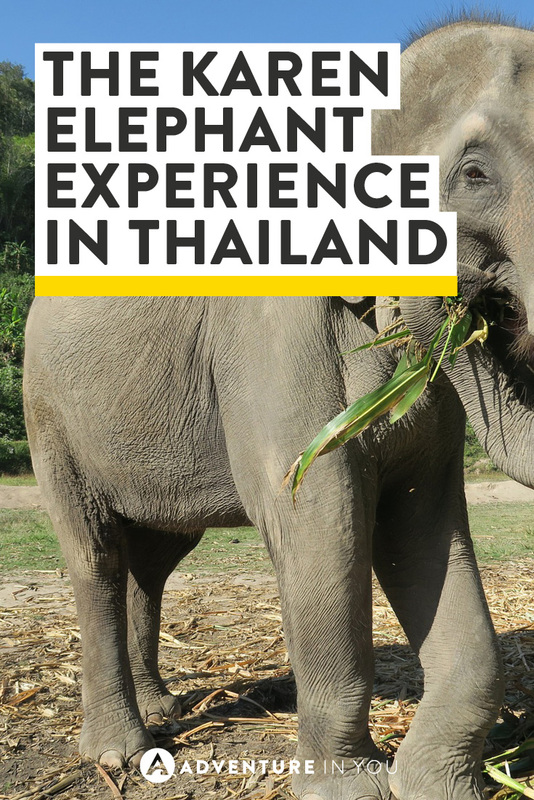 Although I was aware of some of the ethical issues behind elephants in the tourism industry, I didn’t know the full extent until after a visit to the Elephant Nature Park in Chiang Mai. The Elephant Nature Park is an elephant sanctuary where they rescue, rehabilitate, and care for elephants from all over Thailand. 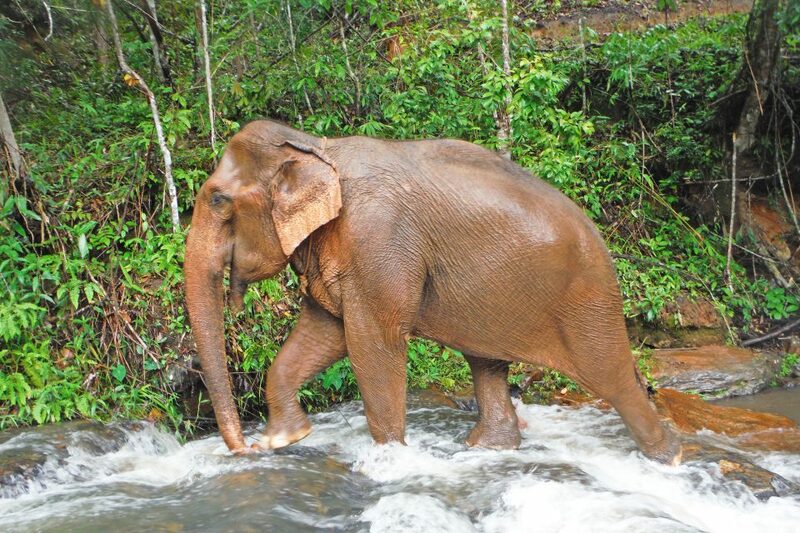 There, they rescue elephants from trekking camps, illegal loggers, and circuses. But before I can fully delve into my experience with the Elephant Nature Park, let me share with you a dose of the hard truth. The truth is elephants are wild animals. They are meant to be roaming free not performing tricks or giving us piggy back rides. The process of getting the elephants to the point of domestication is a cruel process which I never knew about. They call it “The Crush” or “Phajaan”. This is where they take away baby elephants from their mother, tie their limbs, and proceed to “break their spirit or take away their wildness” by beating and torturing them. This process goes on for days until the elephant becomes completely submissive to humans with no choice but to follow their every command. And as if that’s not bad enough, once they are broken in, they are then sold off to various trades for the sake of tourism. Elephants that work in the illegal logging trade are often even given amphetamines to push them beyond their normal endurance levels. They are overworked and underfed. Luckily, there are very few elephants in that trade as the government is slowly combatting this industry. That brings me now to the hard truth on elephants and tourism. 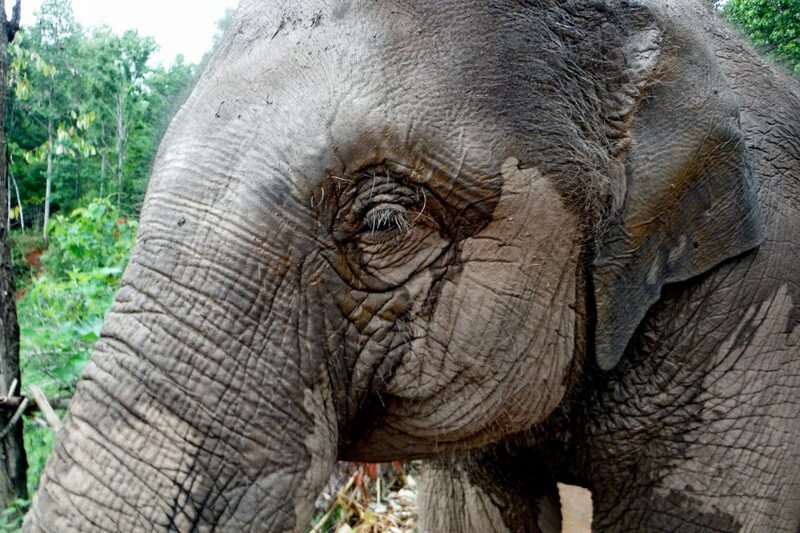 Read: Riding Elephants in Thailand: What’s the Big Deal? Apart from using elephants for illegal logging, the most common elephant exploits that are happening in this day and age is due to the fact that we humans support these horrible industries. Circus shows, jungle trekking camps, elephant begging, heck, even elephant painting! These elephants follow every command that their mahout makes because they often have bull hooks or sharp objects which they use to intimidate the elephants- reminding them of their horrible tortured past. 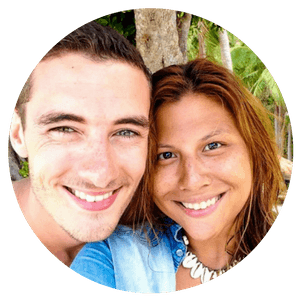 Apart from being able to visit the Elephant Nature Park, they also offer you the chance to interact with these amazing creatures in their natural habitat with a few members of the Karen tribe. 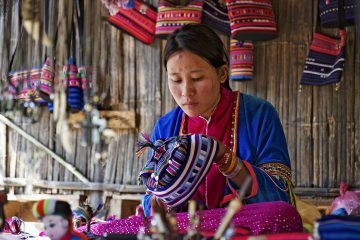 The Karen Tribe used to use their elephants for logging and trekking but through the support of the Elephant Nature Park, they have stopped this practice. 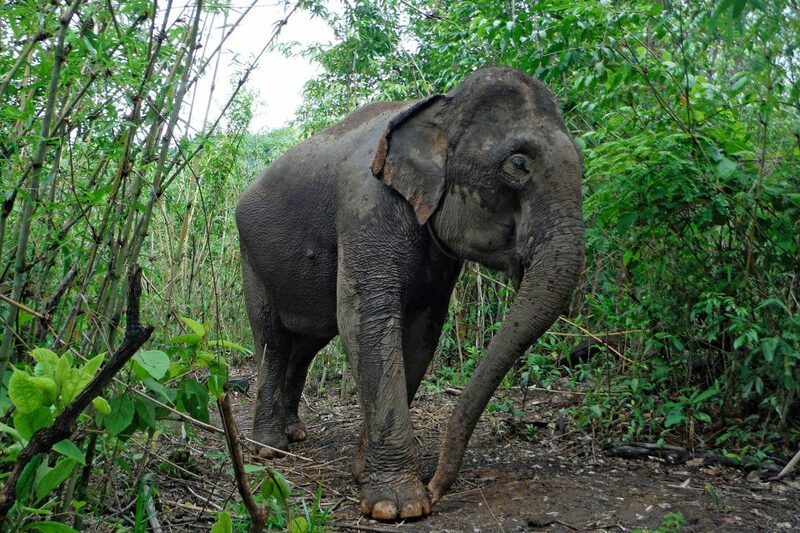 Instead, they allow their elephants to roam free in the jungle while tourists come over to feed, bathe, and trek alongside these gentle giants. During my visit, we started off by meeting the elephants and feeding them, allowing them to become familiar our group. Instead of intimidating the elephants and making them live in fear, you could really see the close bond between the elephants and their mahouts as they showered them with rewards and affection. We fed the elephants baskets full of cucumber and bananas which they all loved. With us that day were three elephants, two older female ones who spent most of their life working in trekking companies, carrying tourists around the jungle for eight to nine hours a day. There was also one younger elephant, a baby boy, called Pet who was seven years old. I cannot even begin explaining the joy I felt seeing these magnificent creatures in their natural element. During this experience, the elephants were our boss (fondly repeated by the mahouts) we followed them to the forest and watched them eat various shrubs, trees, and bamboo leaves. Instead of trekking while riding them, we trekked alongside them, seeing them up close and personal. I loved being able to look into their eyes, watching them roam freely. For those of you who don’t know, riding on top of elephants cause them severe spinal injury as their spine is made up of pointed pieces. Between the weight of the people (sometimes they put three of four), plus the weight of the iron or wooden chair, this puts so much pressure to their spines, causing discomfort and pain. 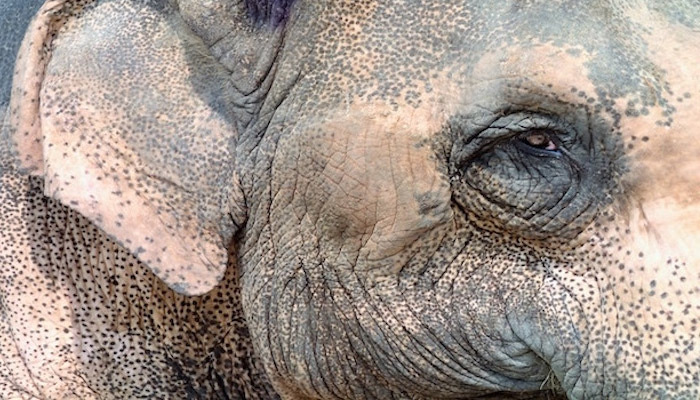 To put it simply, there is just no ethical way to ride elephants. Naturally, seeing elephants in the wild is the ultimate best way to see these creatures, but because these animals are already so used to human interaction, we were able to closely walk with them, watching them at peace in their natural habitat. We did this for an hour or so before we headed back to the camp to have our lunch. After a delicious vegetarian feast prepared by a few members of the Karen tribe, it was time to give the elephants a mud bath. Elephants use mud as a way of covering their bodies from the sun and from insect bites. So we led the elephants down this path and before we knew it, we were knee deep in mud, having the time of our lives as we covered these elephants in mud. The mahouts were great as they covered and coated both the elephants and us in mud too. The elephants looked so happy and I have to admit, we were too. Our small group who went on the experience loved having this personal intimate experience with these grand creatures. Soon, we were covered in mud from head to toe and made our way down to a nearby waterfalls where we washed the elephants and washed ourselves. The elephants were spraying us with water and we were lovingly scrubbing their backs with brushes. I can honestly say that it has been one of the best travel experiences that I’ve had. The staff then gave us some soap and shampoo to wash ourselves off. My only suggestion is that it would be great if they could switch to using biodegradable soaps and shampoo in the spirit of being more environmentally friendly. The Elephant Nature Park as a variety of visiting opportunities for those that want to see and spend the day with the elephants. 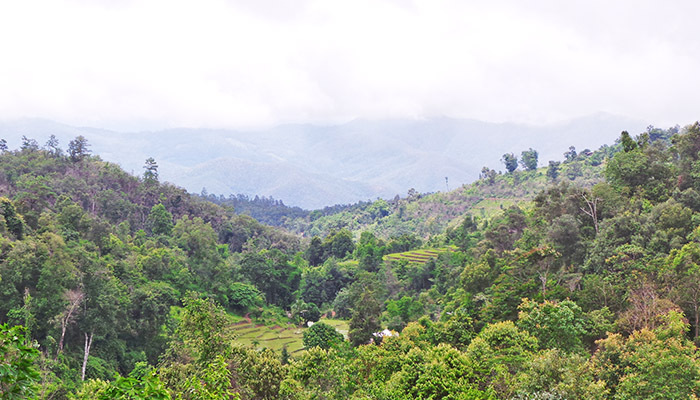 If you want to visit the park itself, it is located about 60km away from the city and the cost is 2500 THB ($71). 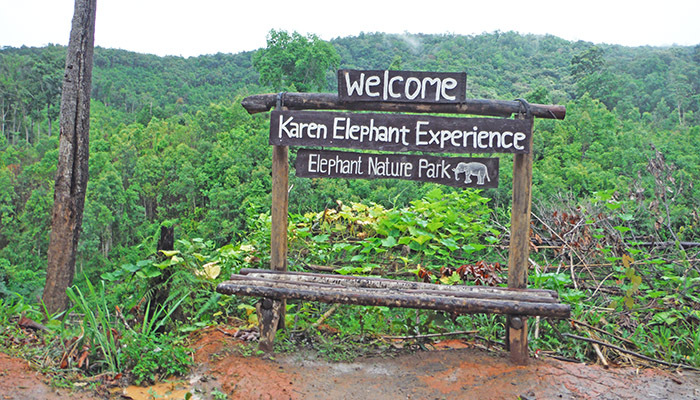 For the Karen Elephant Experience, which is a much smaller, intimate experience, you pay 6000 THB ($172) for a full day including all meals, snacks, and transportation (Prices are as of July 2016) Although it seems like its a lot of money, I can reassure you that the experience was worth every penny. 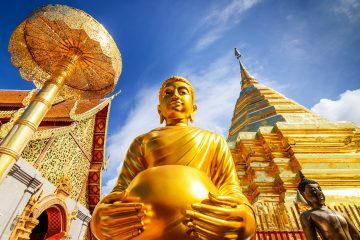 The money is going to a good cause and the foundation is making great strides in improving the life of so many elephants all over Thailand. 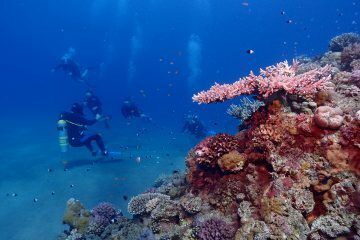 They also have various volunteer trips and projects which you can see here. Overall, I thought this has been one of the most meaningful adventures that I have had the opportunity to do. The elephants were happy, well taken care of, and were now living the life that they deserve. 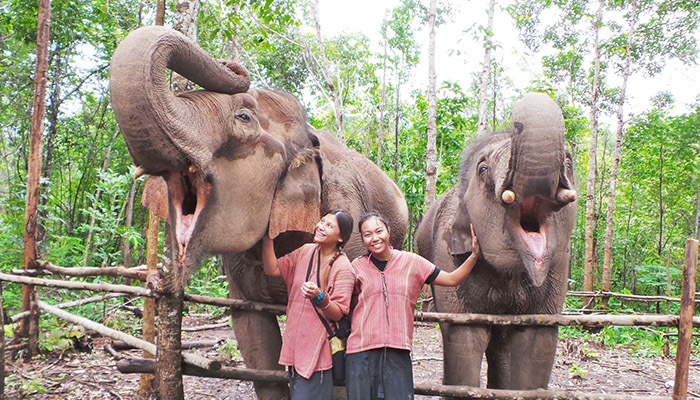 The mahouts who took care of the elephants loved them and treated them with so much respect. One particular mahout, despite his broken English even told me how much he loved elephants, especially his particular one. It was so endearing to see. Sadly, I was one of those ignorant tourists who didn’t know any better. I visited an elephant “sanctuary” in Laos and left wth a gnawing feeling in my gut after seeing how the elephants were treated. Since then, I had vowed to only support ethical companies and to properly do my research when it comes to tours with animals. My day with the Elephant Nature Park opened my eyes to the realities of the effects of tourism and how we are supporting an ill minded industry without even knowing it. Hopefully, we can move past these unethical tourist practices, forcing these companies to rethink the way they treat their elephants. One of the best things that you can do to help end the cruel plight of these elephants is to help them spread awareness. Talk to people about it. Educate people who don’t know any better. Share news articles, get informed and help others do the same. As travellers, we can do our part to help end animal exploitation by boycotting tours and companies who don’t abide by these safe practices. If you want to read more information about Elephants, you can start with some of these resources and guides. The day park visits are much more reasonable! 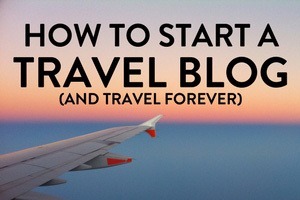 Definitely check them out during your next trip. Riding an elephant had been a big bucket list item for me. But the more I read about it, the more I am shocked that the practice is still around. I am glad to learn of organizations that are helping elephants recover. Now, my new bucket list item involves visiting and supporting organizations such as this one. Glad this changed your mind! Not a lot of people know the hard truths behind it. Bathing them is definitely a much better experience than riding them!! 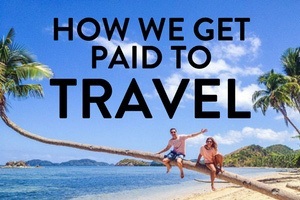 I will surely try this for fun and experience when i visit Thailand someday. 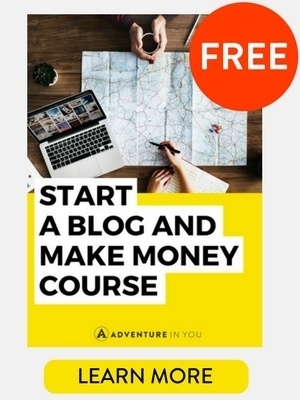 This is something extraordinary and spending several dollars will be definitely worth it. Great to know that elephants are being taken care of and have a better life now. Poor animals have borne the brunt of Man;s burden for long. What a nice eye-opening experience Anna! and yeah I guess much of the elephant exploitation can be attributed to the use of elephants throughout history. But they shouldn’t be domesticated and I cringe every time I see pictures of tourists riding an elephant. Good thing that there are now more elephant parks in Thailand that promote ethical practices when it comes to handling the elephants.